Pocketbond deals with an eclectic range of items, from toys and games, through to kits proper. It is the main agent for Trumpeter and Academy in the UK, and also imports Pegasus Hobbies, Imex, Roden, AFV Club, and a host of smaller companies. 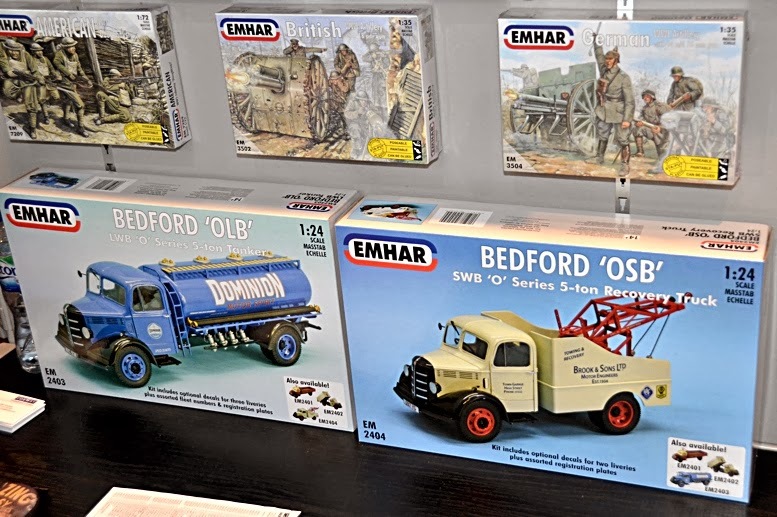 Mat Irvine reports: Pocketbond also runs its own kit brand, Emhar, which started by making AFVs and truck kits to 1:76 scale, now also featuring a new 1:24 scale Bedford truck, available in four versions. 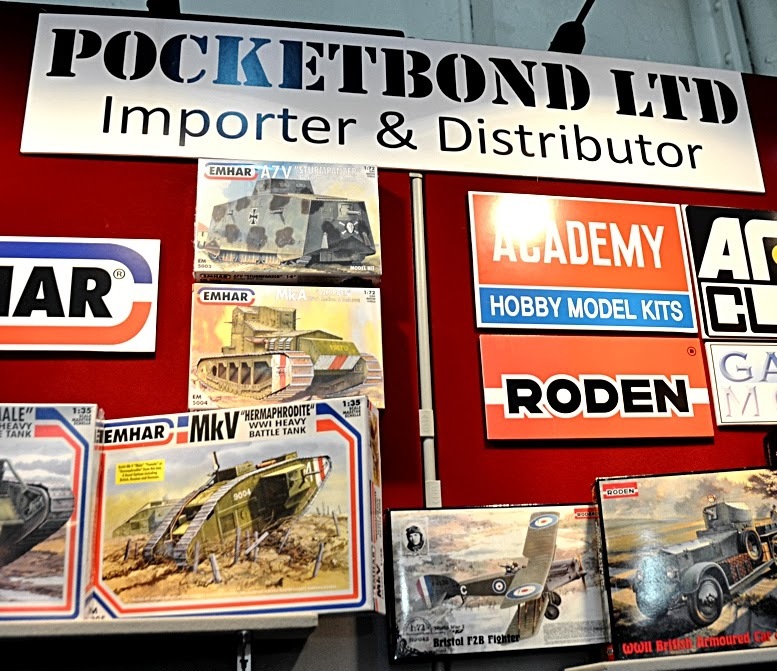 Pocketbond took over another UK import and distribution toy and model company, Toyway, a few years ago, and that company’s products are now incorporated into the Pocketbond range. 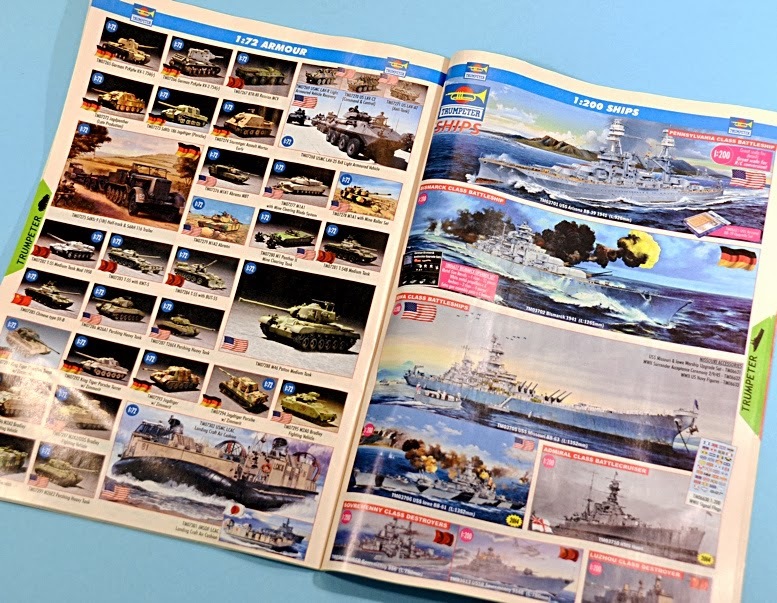 There is a very comprehensive 144-page catalogue listing all these models - more than 2500 of them - plus a lot more, including scale diecast 1:76 cars and vans, suitable for UK railway layouts and a series of Scenix buildings for railways, and wargaming structures under the Conflix name. Pocketbond unfortunately lost its founder and CEO, Phil Brooks, early last year, but the company continues under the guidance of his widow and the general manager, Neil Fraser. Pocketbond’s website is presently under construction, but is worth a look here. 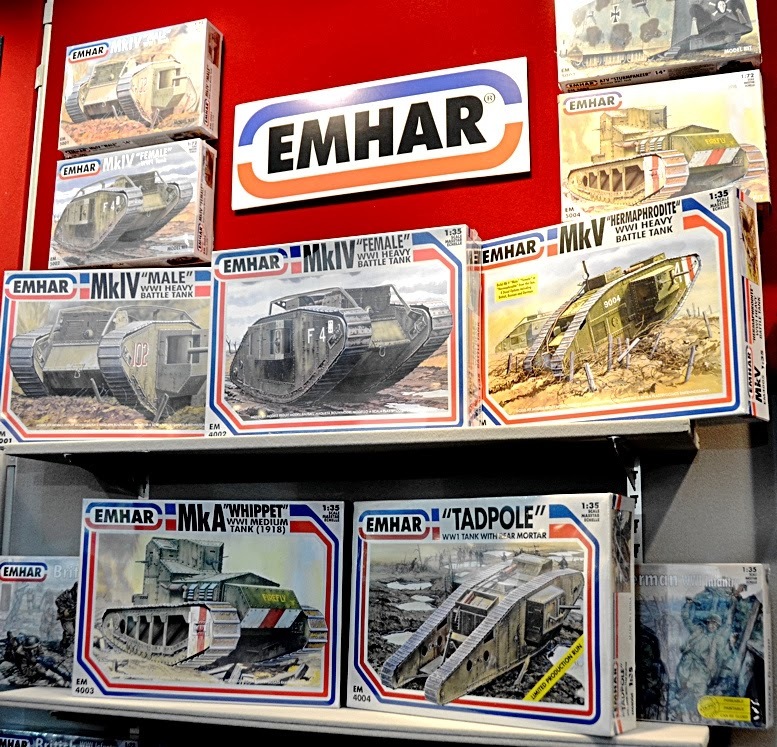 More on the Emhar range that includes both 1:72 and 1:35 AFVs. The latest pair of Emhar 1:24 Bedford truck kits (below). Shown here are the OSB short-wheelbase (recovery) and OLB long-wheelbase (tanker) versions. 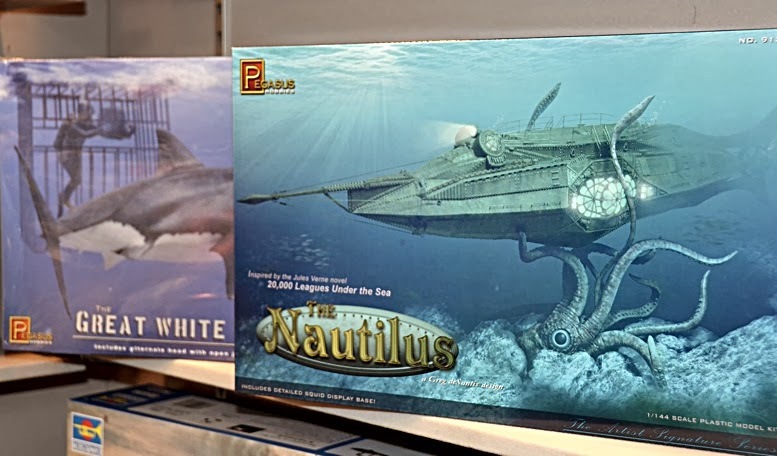 From Pegasus Hobbies, a Great White Shark (below left) and the Jules Verne Nautilus submarine, to be featured in an SMN review soon. 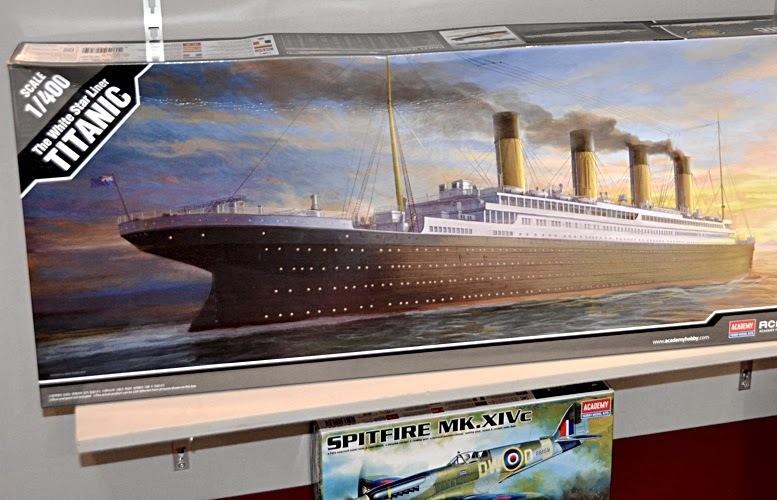 Trumpeter’s version of the Titanic (below) to 1:400 scale. 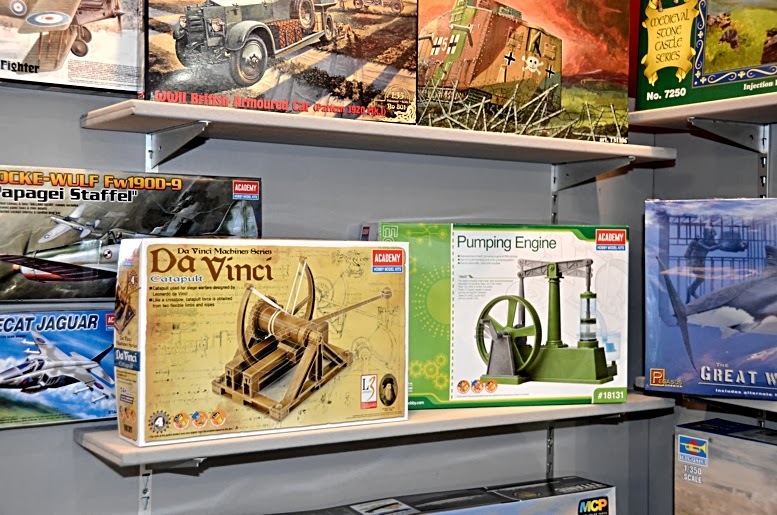 Two kits from Academy (below) a Leonardo da Vinci Catapult, and a Pumping Engine, one of a range of kits that parallels the Airfix series of similar subjects. 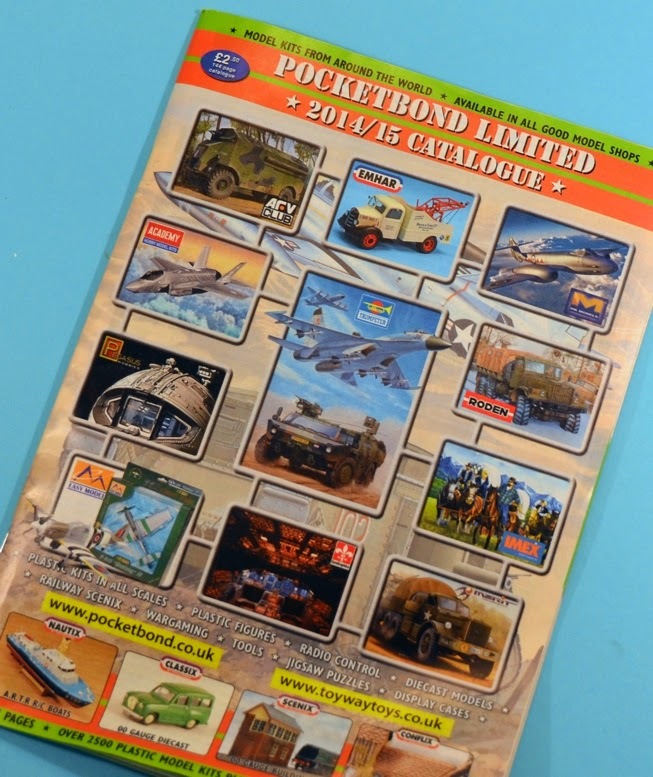 Pocketbond 2013-2014 catalogue (below) and a double-page spread. Pocketbond's late CEO Phil Brooks once travelled regularly to trade shows around the world. Here he is at the 1994 RCHTA (Radio Control Hobby Trade Association) Show, in Chicago, an exhibition now known as iHobby Expo. 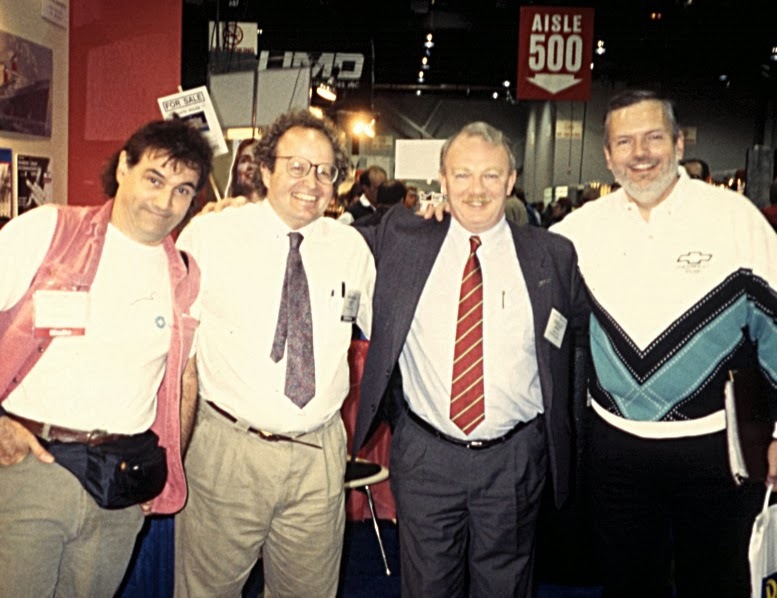 In the pic (left to right): Mat Irvine, Nick Argento (Glencoe Models) Phil Brooks (Pocketbond) and John O’Neill, who was with Ertl for many years. AARGH - THE INTERNET IS CANCELLED!